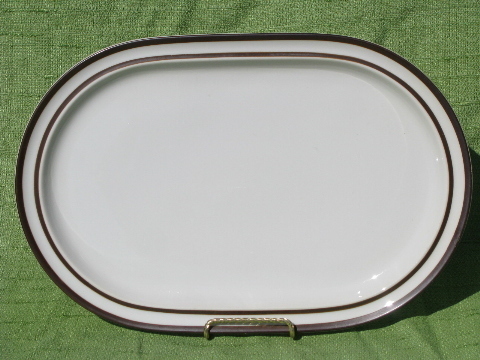 Brown band border Noritake stoneware platter, about 14 1/4" long. 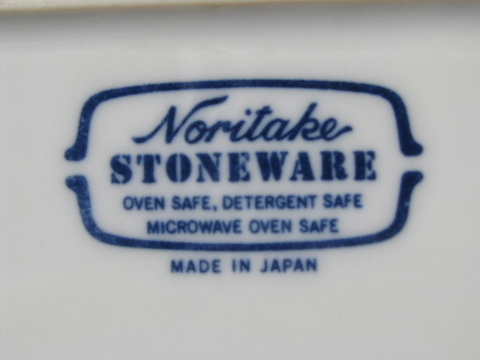 It&apos;s marked Made in Japan, also oven safe - dishwasher safe - detergent safe - microwave oven safe. This has a little scratching from use, but no chips, cracks, or discoloration.